On Feb. 15, I visited Swansea University in order to start a new collaboration with Dr Alex Shaw. The objective of our joint work is to apply control-based continuation to one of the experimental set-up Alex has developed. The structure, a cantilever beam with two springs attached at its tip, is shown in Figure 1. The structure presents a very interesting dynamics including: a modal interaction, quasi-periodic oscillations and isolated periodic solutions (also called detached resonance curves). Figure 1. 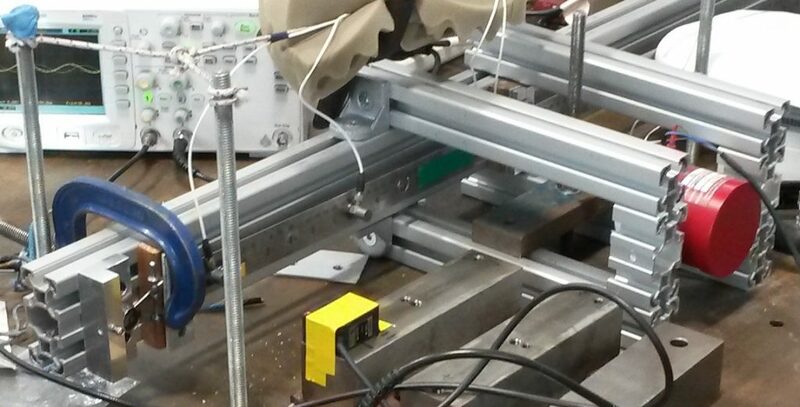 Cantilever beam with springs at its tip. During my visit, I was also invited to give a talk as part of the ZC2E Semiar Series. My talk was entitled Exploring the dynamics of nonlinear experiments using control-based continuation. The slides are available upon request.